The What: Oblong Industries has released the public beta of Rumpus, a new visual collaboration application for purely virtual teams. Rumpus is designed to make web conferencing both content and context rich, provide simultaneous access to shared screens from meeting participants, and deliver a new layer of communication with shared cursors, annotation, and emojis for signaling sentiment. The What Else: Rumpus for virtual teams builds upon a particular insight gleaned from usage of Mezzanine, the company’s flagship product for expansive collaborative work in a room, between connected rooms, and for off-site collaborators. In aggregated opt-in data from Mezzanine customers, Oblong has noted that 62 percent of the time when users are sharing in Mezzanine, they are sharing multiple forms of content. This means that most of the time, when given the opportunity to share content concurrently, people will. Rumpus is set to offer remote workers the same opportunity to make multiple streams of visual material easily and concurrently accessible. Rumpus also leverages gesture (pointing and movement via cursors) to focus attention, provide emphasis, and communicate specificity. And to further encourage expression and participation, Rumpus offers emojis, the language of the social web, to help remoters feel more connected and engaged. 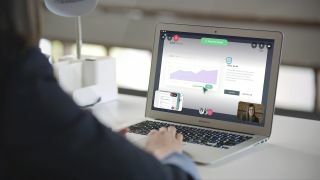 The Bottom Line: Oblong invites remote workers and those who work with them to participate in the public beta of Rumpus . Mac platforms are supported, with coming Windows support slated for Q2.